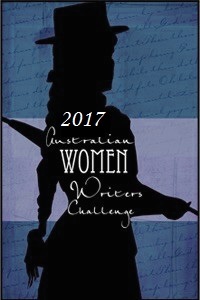 In 2017, VIDA: Blog of the Australian Women’s History Network will be participating in the Australian Women Writers Challenge. To do so, we are seeking book reviewers to review new and classic works by Australian women historians. Should you be interested in participating, we can usually facilitate access to review copies of new works by Australian women historians. For an example of a VIDA blog book review, check out Rachel Harris’s 2016 review of Jane Jose‘s recent architectural history. For a review of a classic Australian history book, check out VIDA blog Managing Editor Ana Stevenon’s 2015 AWW review of Beverley Kingston; and also more recent histories by Clare Corbould, Frances M. Clarke, and Clare Wright. If you’re on Twitter, follow @auswomenwriters and use the #aww2017 hashtag to tweet links to your reviews, and to share in discussions of interest to AWW participants. If you are interested in writing a book review for VIDA blog over the course of 2017, please contact the blog’s managing editors, Alana Piper and Ana Stevenson: auswhn@gmail.com. This entry was posted in Announcements, Book review. Bookmark the permalink.